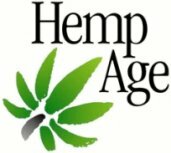 HempAge AG - Hemp Eco Fashion - European supplier of hemp products, A "Hemp Basics" accross the pond, if you will. You love our fabulous Hemp clothing? Guess where those fancy sweaters come from? Vote Hemp is a national, single-issue, nonprofit organization dedicated to the acceptance of and free market for low-THC industrial hemp and to changes in current law to allow U.S. farmers to once again grow this agricultural crop. We educate people on the issues surrounding hemp, register voters, and build coalitions to fulfill our mission. The Hemp Industries Association (HIA) is a non-profit trade group representing hemp companies, researchers and supporters.